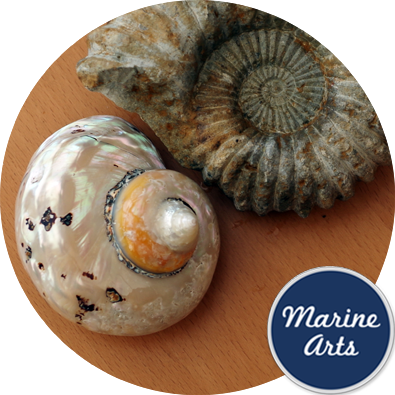 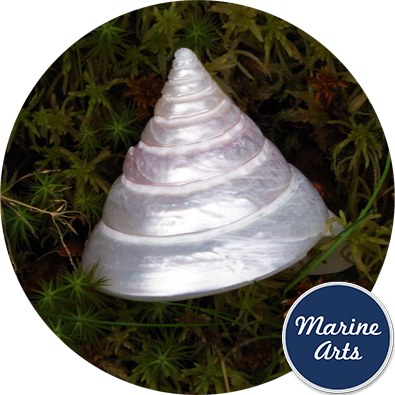 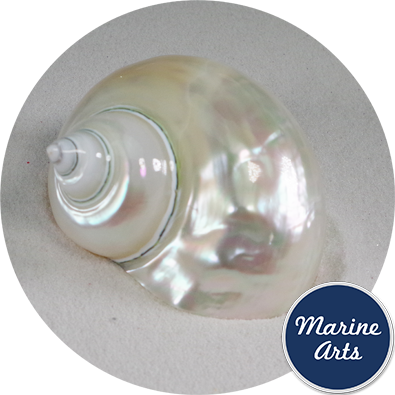 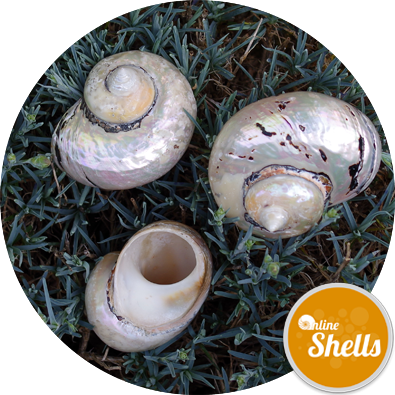 Stunningly beautiful pearlised shells. 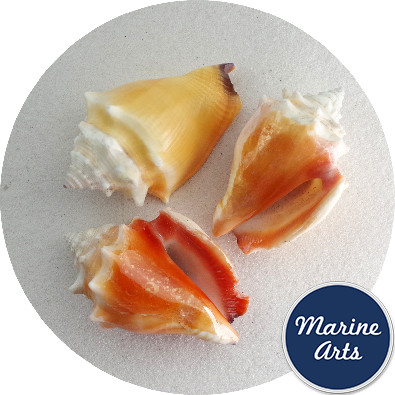 Turbo Sarmaticus are native the South Africa where they are fished for their meat before the shells are cleaned and polished. 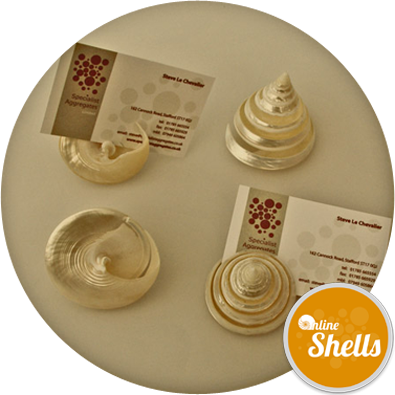 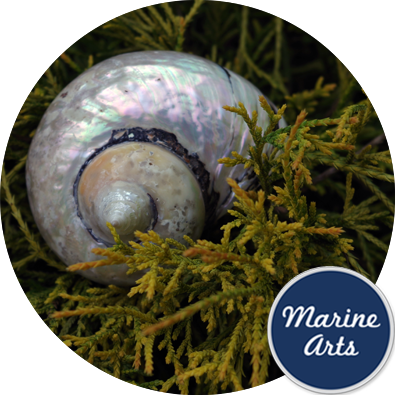 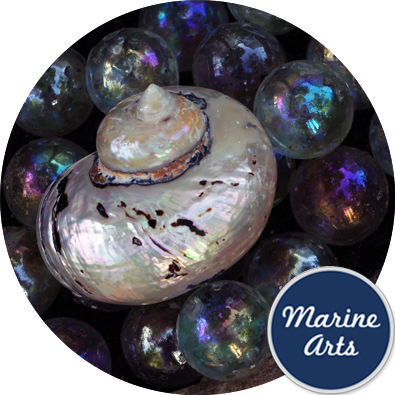 The shells stand-alone as natural occasional and bathroom décor, or en-masse they form a striking centre piece when presented in glass vases. 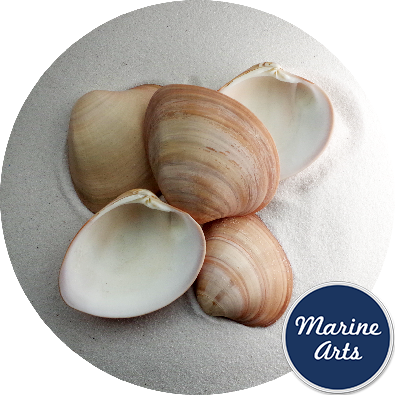 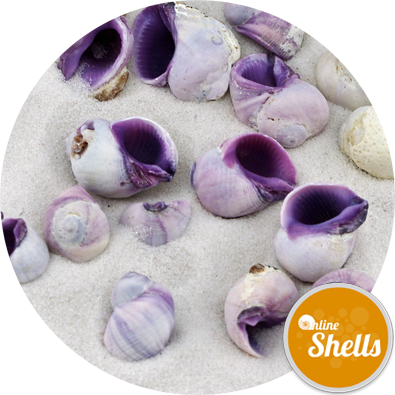 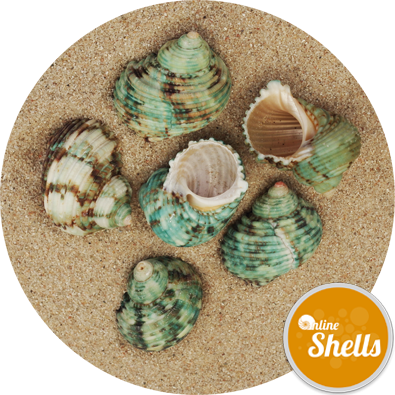 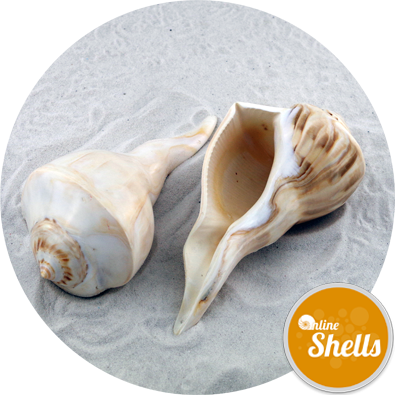 We are not absolutely sure, however, it appears that the name for these shells was derived from the nomadic Sarmatian tribes , who originally inhabited a lands across what is now Northern Iran and South East Russia. 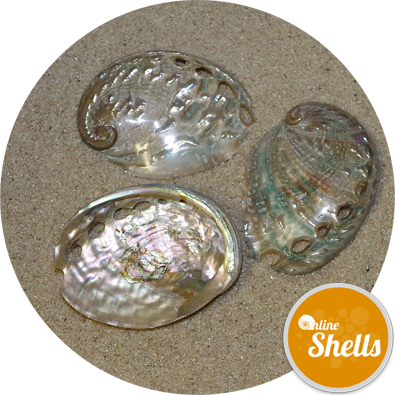 It is probable that either the shells resembled traditional head gear, or perhaps the shells' distinctive markings appear similar to the horseman’s scale-like armour made form horses hoofs. 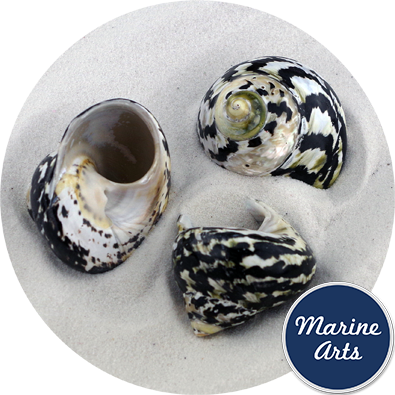 In a period of over 900 years the Sarmatians enjoyed a fascinating history, including being part of the Roman 6th Legion, fortifying garrisons along Hadrian’s wall and leaving archaeological evidence of their presence in Lancashire and Chester. 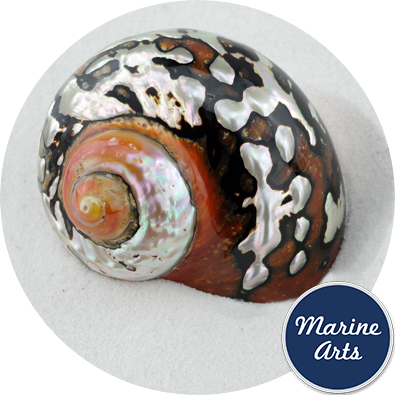 Jade Turbo Imperial - Pearl 3-3.5"